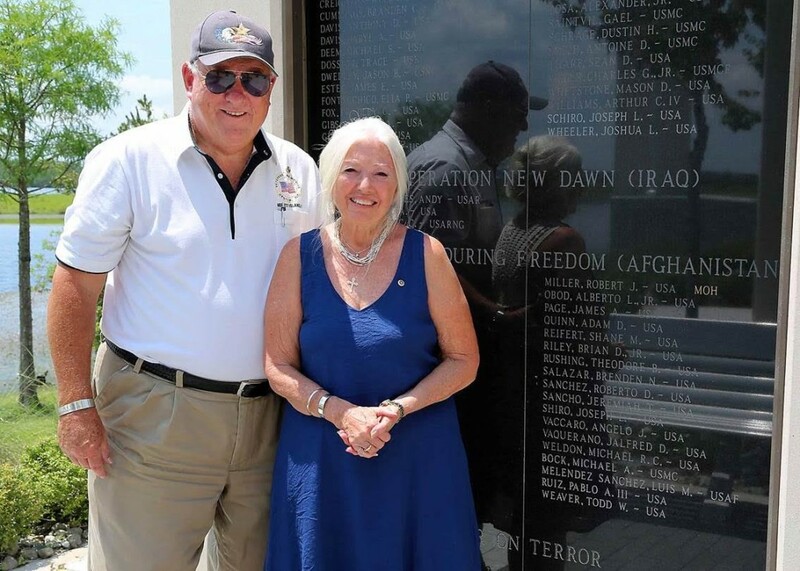 Gold Star Parents Visit The Memorial « Central Florida Veterans Memorial Park Foundation, Inc.
Donn and Jeanne Weaver, the parents of 1st LT Todd William Weaver, visited the Veterans Memorial at Lake Nona on June 28, 2016. 1st Lt. Todd William Weaver, 26, was killed in action in Kandahar, Afghanistan on September 9, 2010. He died while leading his platoon and protecting the freedoms of the family, friends, and country he loved. Lt Weaver’s short life was full, happy, and exceptionally accomplished. 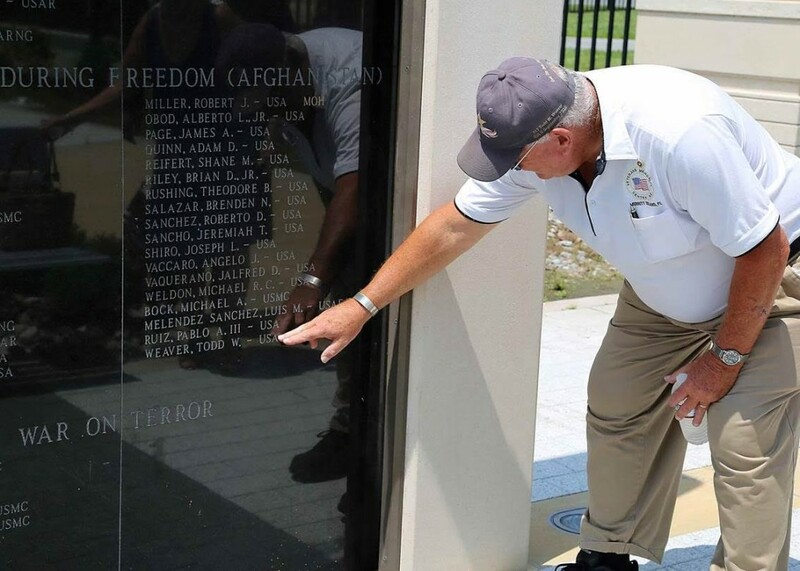 A veteran of Operation Iraqi Freedom, he was a decorated officer with an extremely bright future in the military. 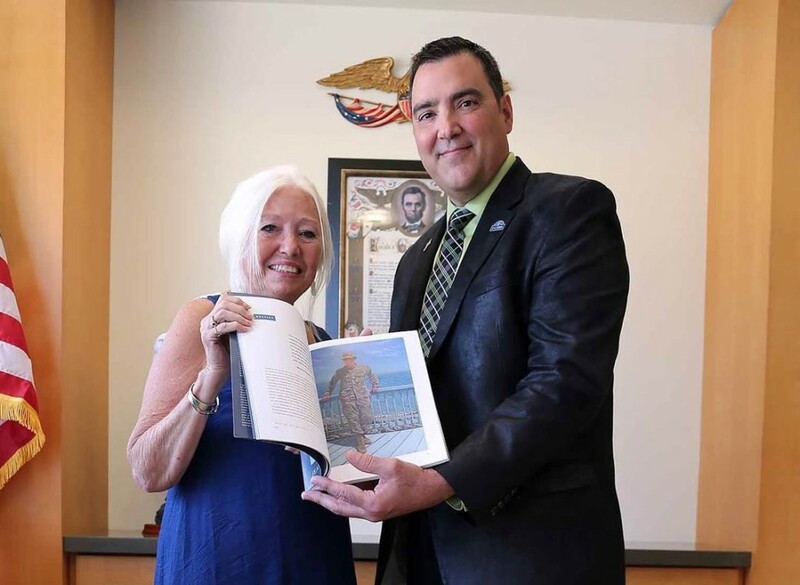 During their visit to the Memorial, Donn and Jeanne presented a copy of the book, Losing Todd A Mother’s Journey, written by Jeanne Weaver to be placed in the Chapel which is adjacent to the Memorial. “Today, June 28, 2016, was a memorable day for me. 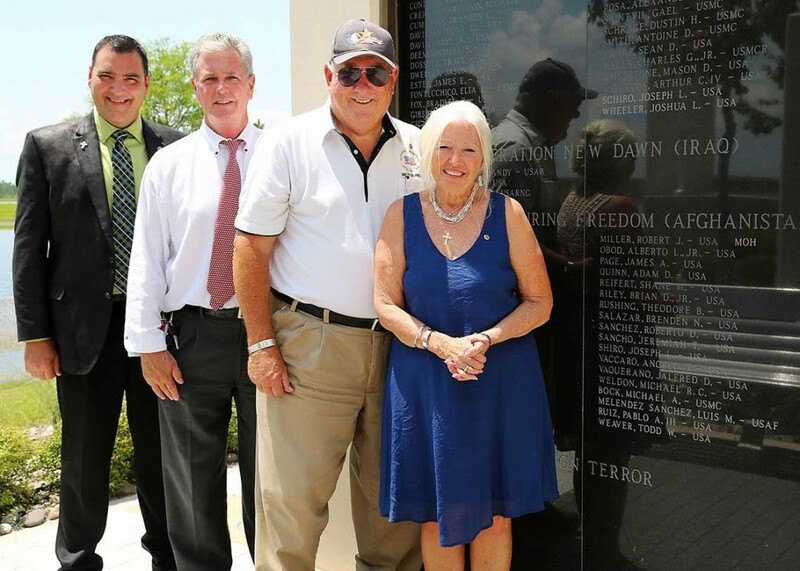 The Memorial built at Lake Nona is monumental and beautiful. 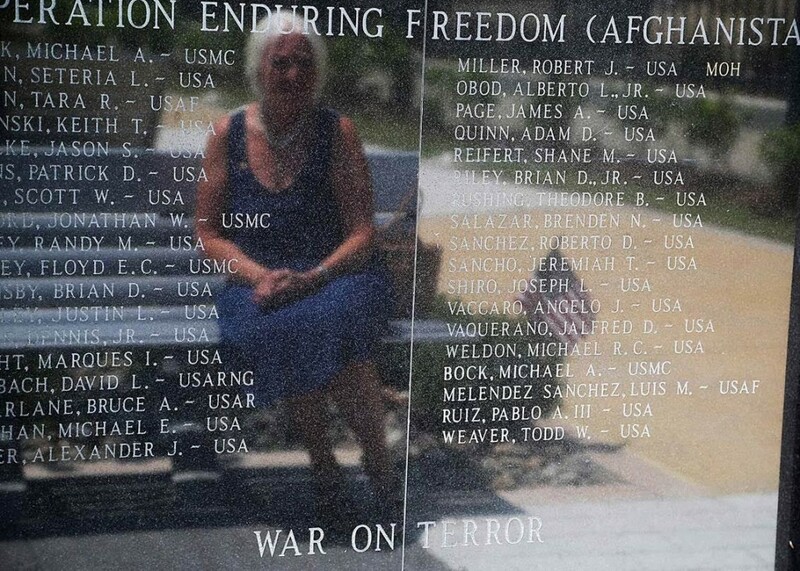 To see Todd’s name etched into its stone and to feel the relief of the letters is something I will never forget. Thank you. I believe that each of us is given a gift by God that will see us through those most difficult times in our lives. For me, it was the ability to express my emotions of love through my art. The book is the story of why and how I painted the paintings. Yes, the story is about my son, Todd; but more important than building a legacy of paintings in memory of my son, it is a story about healing. It means so much to me that you understood that. This entry was posted on Tuesday, July 5th, 2016 at 7:46 pm	and is filed under Uncategorized. You can follow any responses to this entry through the RSS 2.0 feed. Responses are currently closed, but you can trackback from your own site.